It is a distinctive of the American persona to especially value independence and to exalt the “can-do” spirit. That is a good thing, isn’t it? Well, generally speaking, it is. We should be responsible with the abilities and strengths we’ve been given by God’s grace. Such is certainly affirmed in 2 Thessalonians 3 where it says, “For even when we were with you, we gave you this rule: ‘The one who is unwilling to work shall not eat.’ We hear that some among you are idle and disruptive. They are not busy; they are busybodies.” And likewise, throughout all of Scripture, generosity toward those with genuine needs is applauded. This reminds me of my recently-ended coaching career. I am very proud of my teams and their many successes – particularly the three state championships. 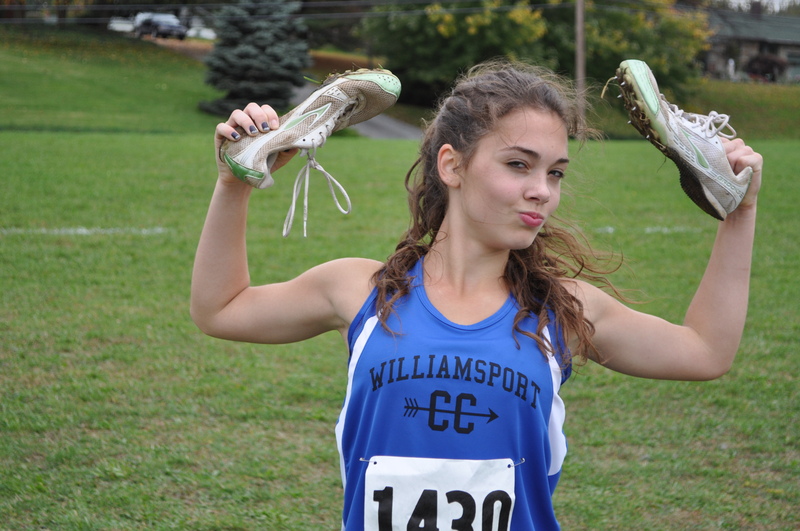 But by way of full disclosure, I had the wonderful good fortune of just happening upon five of the fastest runners to ever wear Williamsport blue and white – who just happened to be in the same graduating class. I think I made them better and made it fun, but frankly, God made them skinny and fast. The second paragraph in today’s reading gives us some insight upon the condition of the nations surrounding Israel. These were people who had previously made their decisions to not follow God, but to rather build idols and replacement objects of worship. For that, they were judged by God – many of them being wiped out by the Israelite conquest of the land. But notice that, again, Israel would not be exempt from the same treatment if they were to reject these repeated admonitions to obey God’s commands. It really is pretty dumb to not obey God, isn’t it? That’s a very clear reason to be revived! 1. Be careful to follow the Lord’s commands (verse 1), because following them will yield blessing and success. This is a theme repeated by Moses that we have already commented upon. 2. Remember God’s leading (verse 2) over the past 40 years – how God had indeed supplied. The way that God supplied for their physical needs taught them that there was more to life than just eating and surviving – that God’s word and his truth was even more essential. The instruction for the Israelites was to desire God himself more than the appetites of life itself. Of course, the phrase that man does not live on bread alone but on every word that comes from the mouth of God is one that Christ would use to counterpunch Satan on the occasion of his temptation. 3. In verse 5, Moses encourages the people to know that there is a pattern to the way God works with his people. God disciplines his own as a good father would correct his son or daughter. The goal is the moral development of the child – a discipline with a view toward corrective love rather than punitive wrath. It is good for us to learn over time how God works in our lives. This is the value of a long walk with the Lord over extended years. One is able to see patterns and to hear the recognizable voice of a faithful father. 4. Observe the Lord’s commands (verse 6) – here it is again. Do you think this is the main idea of Moses’ exhortations? Over and over! Moses is saying again that the land they are entering is just so fantastic, so full of rich blessing, that it would be a travesty to blow it all by something so stupid as not obeying God. If you want to know how to have a good future, look to the past and to those who have been blessed. They are those who obeyed and who learned, even at times through discipline, that trusting fully in God is the way to go. Yet this always proves to be mankind’s most difficult lesson, of course, due to the sin nature within. 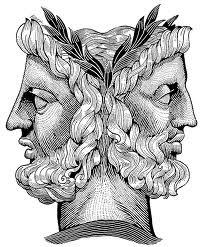 There is a character of Roman mythology named “Janus” – who was the god of gates and doors. He was depicted as a two-headed creature – looking both to the past and to the future (and is the name of an investment firm with obvious implications). Of course there was no such God, and my point is not to exalt Janus, but to speak of the timeless wisdom of considering both the past and the future. We should neither live exclusively in one or the other, though we are obviously heading in one direction, like it or not. Our well-being in the future should be well-informed by the past – particularly by the truth that the same God who granted successes to the obedient of the past will grant the same to those obedient in the future. That should revive us in terms of our faith and deeds. 8:1 Be careful to follow every command I am giving you today, so that you may live and increase and may enter and possess the land the Lord promised on oath to your ancestors. 2 Remember how the Lord your God led you all the way in the wilderness these forty years, to humble and test you in order to know what was in your heart, whether or not you would keep his commands. 3 He humbled you, causing you to hunger and then feeding you with manna, which neither you nor your ancestors had known, to teach you that man does not live on bread alone but on every word that comes from the mouth of the Lord. 4 Your clothes did not wear out and your feet did not swell during these forty years. 5 Know then in your heart that as a man disciplines his son, so the Lord your God disciplines you.